In 2005, the Western Folklife Center's gaze turned south to one of the largest groups of people at work in Nevada - the people who staff the casino and entertainment industry. In this first show we introduce some of the people you will hear throughout the series and we examine certain themes that emerged as we spoke with residents of Las Vegas about their work and experiences. Thirty-three percent of Las Vegans work in the service industry. In a fast-paced era of slot machines, video poker, and fast food, visitors’ experiences are still shaped by the personal interactions they have with the people who serve them. For many, Las Vegas is simply a place of indulgence, but is that true for those who make the city their home? We wanted to find out more about how living in Sin City affects residents’ sense of place. 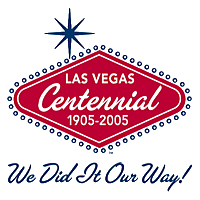 In recent years, Southern Nevada has experienced unprecedented growth. With approximately 60,000 new residents annually, we asked Las Vegas natives and newcomers alike to explain what means to live in a place known as a land of opportunity. Sharon-Lynn Resendez, a certified Irish dance instructor who dances at New York New York - Las Vegas, tells us about the enjoyment she gets out of teaching, improvising, and engaging her audience. For almost 80 years, the Young Electric Sign Company has maintained a strong influence on the landscape of Las Vegas. We were invited on a tour of their facility, where old and new technologies, art, and focused work come together on a daily basis. Casino cage cashiers mediate the flow of money between customers and the casino. Here we talk with cage cashiers about the money they handle and sort, and the cycle of money throughout a casino. Marie Baldonado at work in the Cashier's Cage at the MGM Grand. Las Vegas is home to hundreds of performers who make careers out of impersonating celebrities. Sandy Anderson, a Dolly Parton tribute artist, talks about sharing her life with another personality and the ethical issues that come into play. People come to live and work in Las Vegas from all over the world. Listen to some new Las Vegans as they talk about their struggles, survival, and success in coming to America and how they are living their American dream. Las Vegas is home to thousands of Hawaiians working in hotels, casinos, and as entertainers. The concept of "aloha" is at the heart of Hawaiian culture and concerns all aspects of Hawaiian life. Find out what aloha means to Hawaiians living in Las Vegas. Personality is crucial to being a dealer in the Las Vegas casinos. We learn about the different aspects of the profession from competition to showmanship, and about the appreciation these men and women have for the games they deal and the people who play them. James Agati is a shoe shine man from New York, who spends half his year working in Las Vegas. He explains the art of bringing a pair of shoes to the perfect shine. Banner image: Rorie Holford; 24-Hour Show images by Christina Barr, Ross Fuqua and Chris Simon.